What we are working on this month. More and more organisations are turning to Skype for Business for their UC needs. 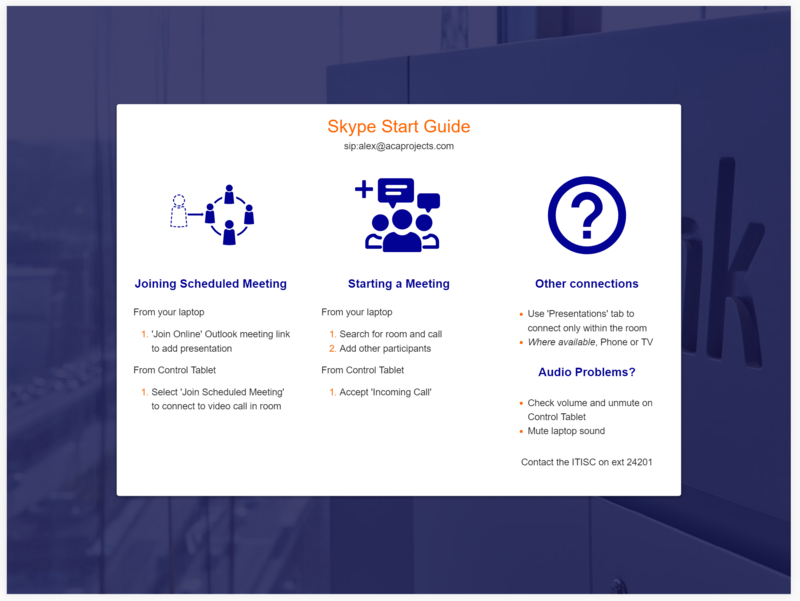 This is great for desktop and mobile communication, but bridging that experience into collaboration, meeting and event spaces has required the choice between dedicated Skype Room Systems, additional infrastructure, or leaving users with a keyboard and mouse. To enable you to design and deploy a single experience for all users, regardless of environment, we have integrated ACAEngine directly with Skype. 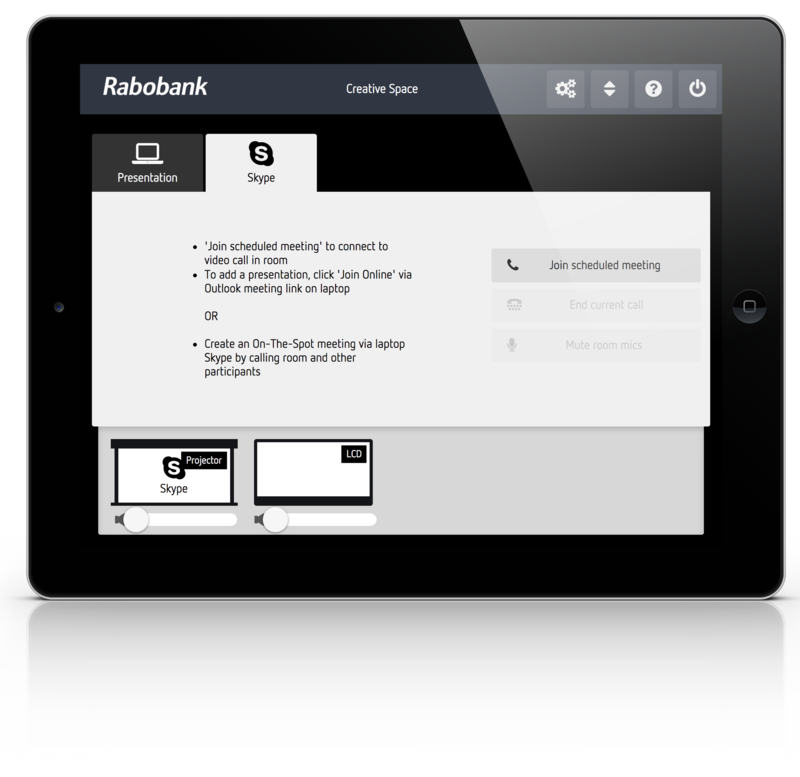 This is a software only solution that allows users to answer calls into full screen, start a call and launch collaboration sessions directly from their personal device, or the in-room tablet. Many of our recent projects have moved away from traditional touch panel interfaces in a room to an integrated user experience via a staff or visitor app. This allows us to tie control events into other experiences- most commonly room booking. EG- Book a room and the AV system will turn on at the start of the booking. With the Chat bot integration, we can go one step further and provide a virtual concierge that can book and control rooms. Users can type in plain languages comments like “Hey I need a room for 6 people tomorrow at 9am” and the system can book the room for them- and launch any required control events. A real person can monitor the Chat in a Slack channel and jump in at any time if the bot doesn’t quite understand the request. The more the system is used the more it learns. For legacy systems, we can now talk to devices in your room via the AMX controller. This is a simple way to connect to devices that are not on the network but connect via RS232 to your older systems. Basically, we can turn an AMX controller into a Global Cache. However, for new rooms - just get everything on the network. 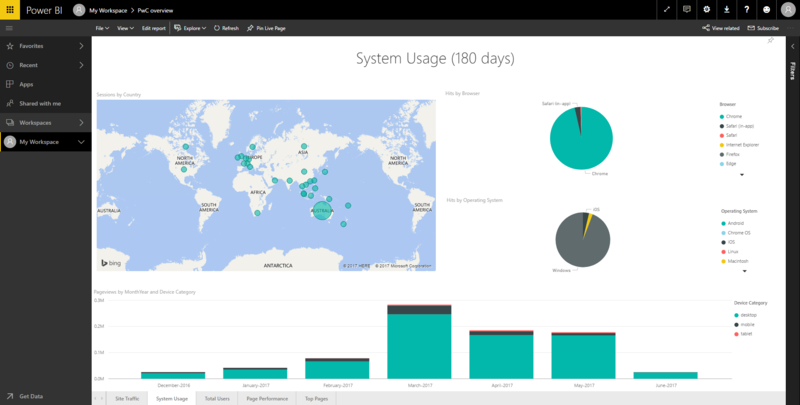 We have mentioned Google Analytics integration in a previous post, PowerBI is simply another option. It is included in most Office 365 accounts and provides many of the same features as Google Analytics. Dashboards can be setup to monitor system usage and room utilisation. There are some nice AI features available in the platform such as plain language search EG “how many users did we have yesterday”. We have completed a few video capture projects recently with both IP streams and physical HDMI inputs. The latter is achieved by using a capture device that you can build using any PC and a Black Magic Design capture card. This is a low cost and reliable solution that can be used for lecture capture, camera capture and applied to a range of user cases. Recent projects include a medical training lab, performance theatre and meeting room capture at a convention centre. ACAEngine controls the start/stop of the recording (manual control or scheduled) and uploads it to CoTag Media or your nominated cloud-storage. SvSi allows you to send any video/audio input to any output over the network. It has a limited built in control system but for integration into the broader system or for more flexibility you can run ACAEngine. On a recent project, we provided the client with an admin interface that provides full virtual matrix switch control, the ability to save and recall presets and control of all the other room features including video conferencing and lighting. Our general user interfaces are web-standard apps. ChromeOS is a great platform to run stand-alone web-apps but it does not provide any built-in kiosk launchers. There are many on the Chrome app store but we built our own to make sure the device has everything it needs to keep control, room booking and map interface in kiosk mode 24/7. 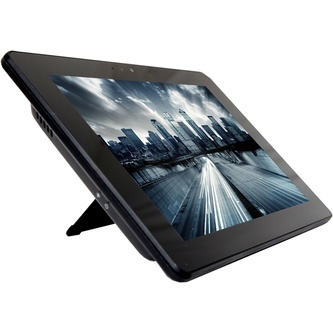 ChromeOS devices such as the AOPEN ChromeBase Mini- is a low-cost alternative to a windows tablet with commercial grade features such as POE, Ethernet, VESA mounting, and 4 USB ports. CISCO Sparkboard interface- similar to our Skype for business integration above. IBM Watson for some control triggers based on A.I. Rather than just collecting analytics, Watson allows us to trigger actions based on knowing what similar users of the room have done in the past. Integration into Gallagher access control to provide temporary access to rooms, floors and elevators based on the room booking system. EG if you have booked a meeting room on level 38- you will have access 30mins before and after your meeting. Integration into CISCO Meraki API for people and desk locating and management. 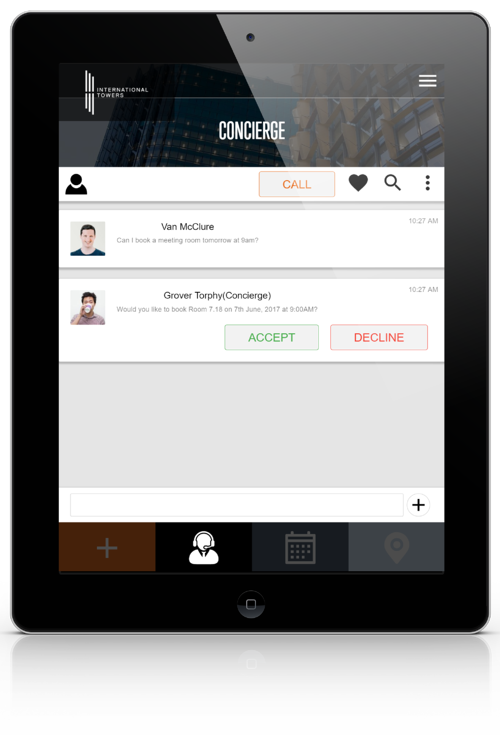 This is the most direct way to find people on the network without requiring any middleware. This will tie into floor maps and search tools.